Our mission is to provide a wrestling program to instruct the individual wrestlers in the basic and some advanced wrestling skills and techniques as well as to condition them physically to avoid injuries. We will try to create an environment that promotes mental, physical and emotional growth in each wrestler. We, also, will try to cultivate attitudes of good self-esteem, sportsmanship and team comradery. Self and team discipline will be stressed at all times. Disruptive or unruly behavior will not be tolerated. It is our desire to promote enjoyment and appreciation of wrestling as well as a striving for excellence in wrestling as a sport, and excellence in character. Wrestling is one of the only sports which relies heavily on mental and physical strength and stamina. Wrestling season is from November to the end of February. Registration will begin in September and end mid-January. Note: Wrestling registration is online only. 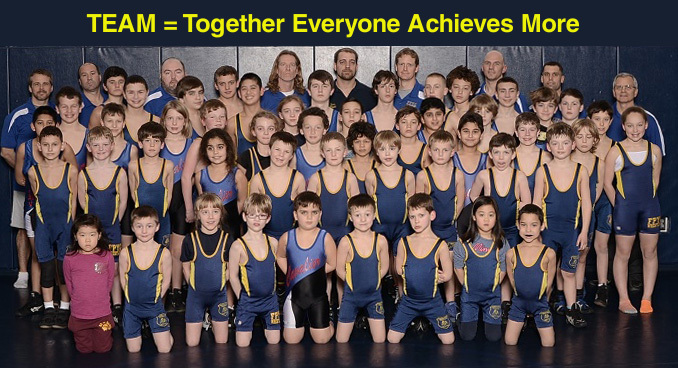 Wrestling is open to both girls and boys ages 5 - 14. Note: Parent is required to be Assistant Coach for ages 5 - 6. *Please contact the Director of Wrestling, Matt Buchanan, at wrestling@fpycsports.com if you have additional questions.